All Aboard – Burlingame Historical Preservation Society, Inc.
ALL ABOARD!! 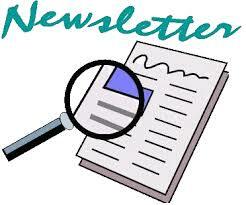 is our newsletter and is published quarterly for our members with information on the latest news and activities. It includes upcoming events, fundraisers, membership renewal and annual meeting ballot. If space permits, a special features section has stories or historical information on a variety of topics. Think for a moment about the things you remember about Burlingame. You may recall the history of specific buildings or stories you have been told or remember about past days of Burlingame traditions, events, businesses or people. Please share these stories with us. We are also seeking photos of past events, businesses, country school houses, coal mines, organizations, the old opera house, movie theaters, citizens, the race track, fairgrounds, historic homes and anything else related to our history. These things need to be recorded now before any more of this history becomes lost to time. We would like to share YOUR stories and pictures in upcoming newsletters, as well as including them in our vertical files in the research room for reference to aid others should they be interested in knowing more. Contact us if you are willing to assist us!